I hope you guys are not only aware of, but super excited for StarCraft Universe. 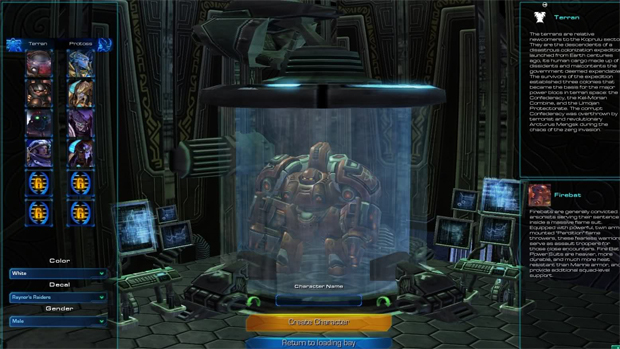 If you're not, I'll get you caught up to speed: SCU is an MMO-like Custom Game (known as Use Map Settings for some of us) that's being developed for StarCraft II entirely within the game's map editor. I'm really excited for this project and have even created my very own wish list for the title, compiling ideas that I think would be great additions to the game. The new video, featured above, shows off a lot of the PvP in action and from the looks of it it's going to be a very frantic experience. We can see some new additions like an in-game achievement system and customizable UI. Possibly the best news of all is that while the developers head to BlizzCon they're allowing us to test out the game starting tomorrow! This preview will be PvP only and will start players at level 30 with all of the appropriate gear and skills. Judging from the video, some of these skills look very impressive (did I see the Diablo II Barbarian's Whirlwind skill being used?). As someone who stinks at "traditional" StarCraft II matches, I love seeing all of the phenomenal Custom Games coming out of SCII's map editor and I think this game is one of the biggest projects yet to come out of it. If you're like me and want to follow along with the development of SCU, head over to the official website.